As a wise e-commerce store owner, you should always develop such site that is quite pliable to secure all the required benefits so as to coming up with the desired stance. No matter how many products you have or orders you receive, Magento e-commerce development is powerful enough to accommodate your needs. It can manage thousands of individual products and the size of your server has got a direct connection with the number of products you carry. This means that if you use Magento from the start, you won’t need to worry about switching when your business grows. It’s easily scalable, so even if you only have a handful of products and daily transactions right now, you’ll be well-prepared if and when that number takes off. Magento was designed to be the most extensible system ever made. And the original developers definitely made it happen. To accomplish this, the system had to be architected by isolating each feature so that extending that feature wouldn’t affect the rest of the system. The result is a whole lot of files. Magento is reading hundreds if not thousands of different files in hundreds of folders for every single visitor that’s on your site. So, with Magento’s biggest strength, it also inherited its biggest weakness. At the same time, according to the experts, if Magento hadn’t gotten so popular so rapidly with tens of thousands of feature requests piling up on their site, then they would’ve gotten around to this speed problem. So, how would you deal with the issue? Getting a good host is really important in this regard. A host having top notch hardware, Magento knowledge, and service can only come to your help in such context. Also, developing a Magento takes about 5 times as long as your old OSCommerce, Zen Cart, CRE Loaded, or similar. The theming system is, well, tedious. However, the extra time put in, in the beginning, is well worth it. Since Magento is a modern system built to modern standards, you won’t end up with the crazy hack job that you used to get customizing an older shopping cart. This means that the total cost of the site over time will actually be much cheaper. About 30% of our projects that come into our office are recoveries from other developers or other firms that have screwed it up. About 70% of the sites that we have touched, that wasn’t built by us, were not built with Magento best practices. Although to be fair, that’s usually why they end up in our lap in the first place. One of the main benefits of Magento, regular updates, is also a bit of a curse. Magento never really had a good upgrade path, meaning a documented and well thought out process to go from one version to another. And it doesn’t seem like that’s ever going to be a priority. The result is that, when upgrading, things tend to break. Most of the time it’s because a site wasn’t developed using Magento best practices. There’s no real great way to overcome this limitation other than just ensuring that your site is always properly extended and properly developed with Magento best practices. That’s definitely a great start and will avoid most of your problems. Anytime you upgrade, though, do it on a separate development environment with some Magento experts on hand. There’s a great chance that something will break and need to be patched up before you can go live with the new version. 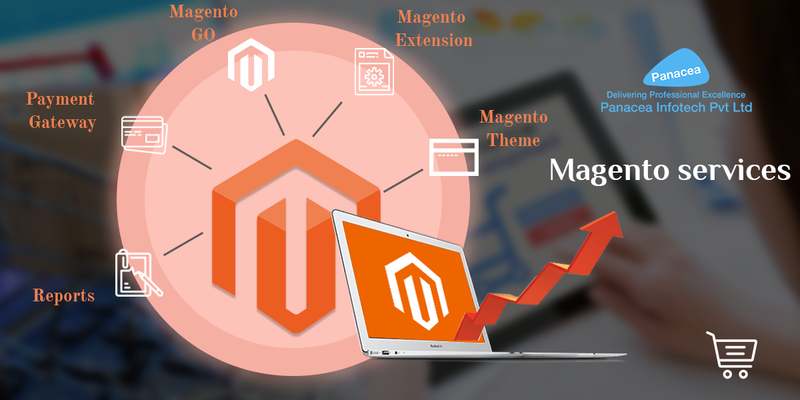 Panacea Infotech has a wide reputation for exclusive Magento development Services. Right from designing and programming e-commerce websites using Magento services to sharing our best practices for selling online, we leave no stone unturned to fully reach your site’s potential. Whether it’s about working on a brand new site or about updating an existing one, our expert professionals will give their best endeavor to we will act as a consultant and partner to lay out all the functions of your website.